The Agricultural Micronutrients Market is projected to reach USD 8.05 Billion by 2021, growing at a CAGR of around 8.2% from 2016. The global agricultural micronutrients market has grown exponentially in the last few years. Countries in the Asia-Pacific region such as China, Japan, and India are the primary targets of the industry. Increase in soil deficiencies, macronutrients antagonism, and increasing demand for of high-quality yield are some of the major driving factors for the market. 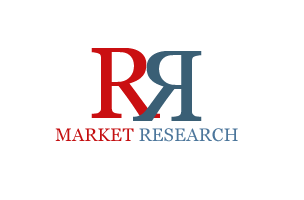 “Agricultural micronutrients market is projected to grow at a CAGR of 8.2%.” The agricultural micronutrients market is projected to reach a value of USD 8.05 billion by 2021, growing at a CAGR of 8.2% from 2016. The market drivers include increase in soil deficiencies, increase in demand for biofuels, macronutrients antagonism, and increase in demand for high-quality yield. “Zinc segment is projected to be the largest and fastest-growing segment, by type, from 2016 to 2021.” Zinc deficiency is one of the most common micronutrient deficiencies in crops, especially in developing countries. To meet this zinc requirement, farmers are adopting more zinc-based micronutrients, thereby driving the growth of the agricultural micronutrients market. “Soil mode of application is projected to be the fastest-growing and largest segment from 2016 to 2021.” Soil is the most commonly used mode of application for agricultural micronutrients, because of its user friendliness and economical nature. “Asia-Pacific is projected to be the fastest-growing segment from 2016 to 2021.” The demand for agricultural micronutrients is driven by the increasing demand for nutritious food by the customers. Increased awareness among farmers about the benefits of micronutrients, increased agriculture practices & technologies, growing economy & disposable income, and management of crop production costs are also driving the Asia-Pacific agricultural micronutrients market. The major restraint of the agricultural micronutrients market include critical application doese. The agricultural micronutrients market is highly competitive and less concentrated due to the presence of a high number of large- and small-scale firms. Acquisitions, and expansions & investments are the key strategies adopted by market players to ensure their growth. Players such Agrium Inc. (U.S.), BASF SE (Germany), Akzonobel N.V. (Netherlands), Yara International ASA (Norway), and The Mosaic Company (U.S.) collectively accounted for the largest share of the agricultural micronutrients market, as of July 2016.